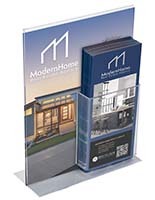 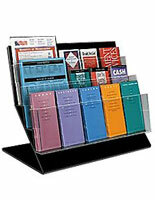 What makes acrylic brochure holders worthwhile purchases for a business or other establishment? 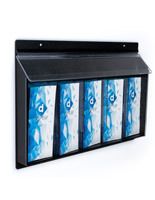 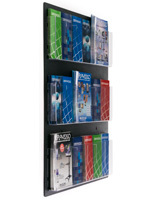 Multi and single pocket racks keep pamphlets readily accessible for potential clientele to take. 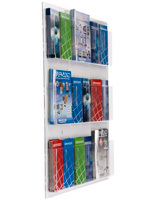 See-through racks do not take up too much space and can be setup in the areas of the shop that receive the most notice. 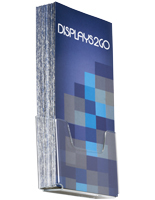 The lightweight fixtures are easy to install and move. 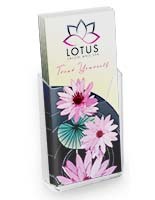 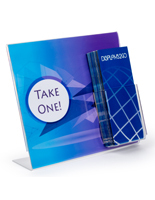 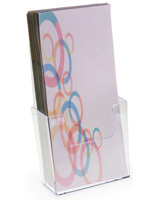 These acrylic brochure holders, commonly referred to as plastic leaflet pockets, help businesses organize pamphlets, flyers and other literature in a single pocket. 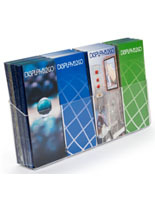 Customers are much more likely to pick up printed material when it is arranged in a tidy manner. 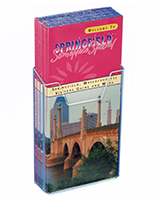 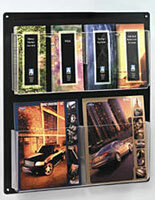 The single pockets are constructed to accommodate the industry standard 4" x 9" literature, but some multi-pocket designs can be adjusted to hold larger literature. 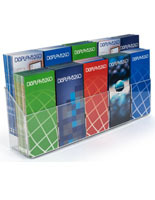 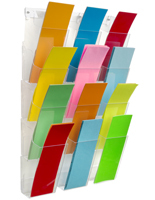 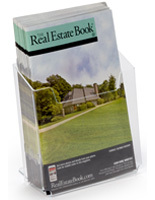 These wholesale acrylic brochure holders are wall and countertop racks with clear exteriors. 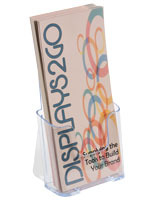 The see-through designs allow passersby to view the bright graphics and messages on the pamphlets. 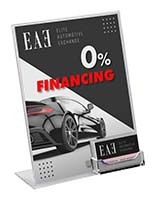 These commercial holders feature affordable price points to fit most advertising budgets. 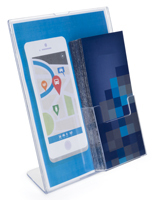 Countertop and wall mount trifold racks are available with extra advertising features to further aid the promotional campaign. 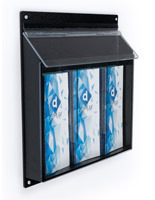 Holders are valuable tools that can increase public awareness. 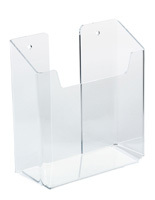 What kinds of advertising material do these plastic leaflet boxes support in addition to pamphlets? 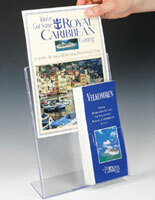 These clear acrylic brochure holders may be purchased with a frame for signs. 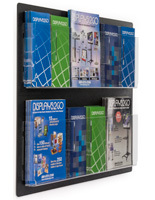 Many companies opt to include signage on the racks to inform patrons about what the literature is concerning. 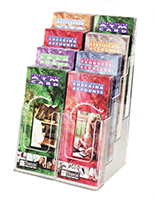 There are curved and straight framing options in stock. 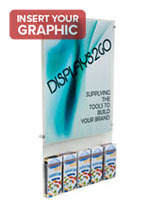 The signs can advertise bright images and catchy slogans to lure customers to the pockets. 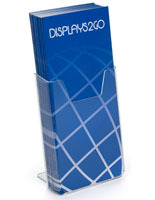 Some of the trifold information fixtures include a space for business cards. 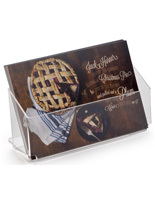 The additional compartment allows customers to take contact info as well as the flyers. 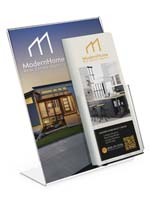 Oftentimes, people will read the literature and be inspired to call the number on the business card. 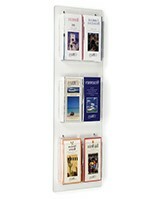 A few wall mounts for leaflets include an area for large posters. 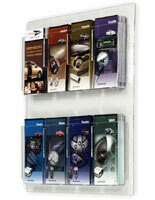 Advertisers are welcome to choose a model with a standard poster frame or cork surface. 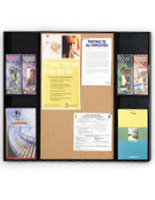 The 22" x 28" framing is great for large graphics, but the bulletin board presents numerous signs at once. 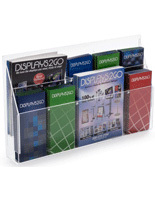 Acrylic brochure organizers are used in many different industries because the displays serve as an invitation for customers read about the goods or services. 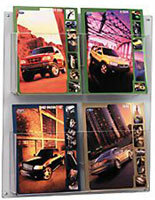 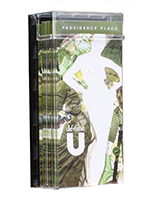 Retail stores often have the multi pocket designs at the cash wrap to promote the latest models. 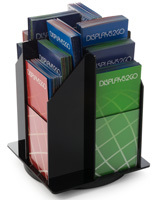 Doctors and other medical practitioners provide usually keep the pockets on the countertop or wall in the waiting room to inform patients about the latest developments in the field. 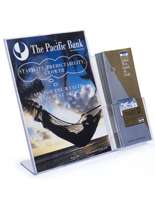 Banks will use these fixtures to distribute the current interest rates or loan procedures. 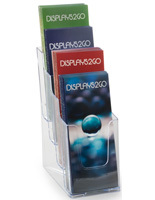 Clear acrylic brochure displays are commonly found at tradeshows and fairs to allow prospective clientele to grab the printed material as they pass. 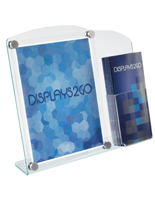 The see-through fixtures can prove useful for almost any business. 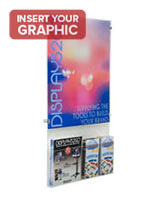 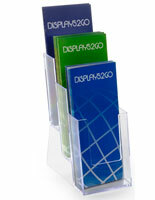 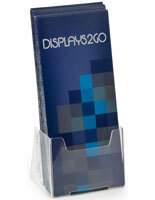 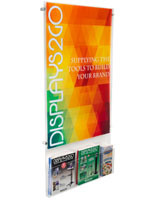 These acrylic brochure displays are extremely easy to setup. 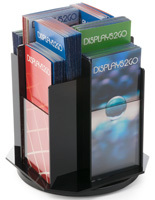 In many cases, countertop racks ship ready for immediate use. 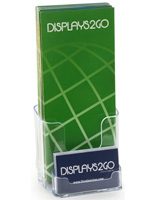 Place the stationary or rotating counter fixture on the flat surface and load it with leaflets and signs. 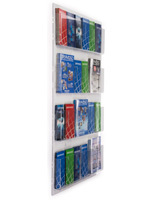 Wall mounting organizers will require a little more time to install, but can be affixed to the display surface in a matter of moments. 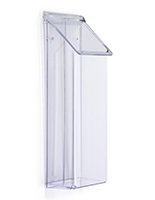 Hardware is often included with the multi pocket or single pocket design. 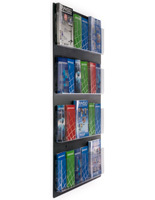 Be certain to read the specific instructions for hanging the unit on the wall. 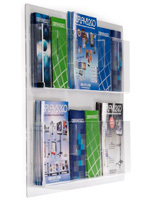 Peruse the entire collection to find the best displays for the situation. 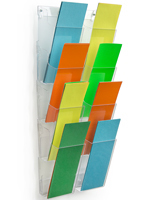 There are multiple and single tier organizers that can be used on both the countertop and wall. 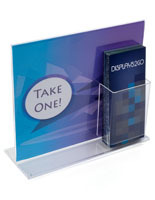 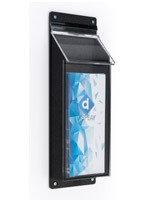 Spread the word by doling out printed materials with these POS fixtures.